The island of Capri is located in the Gulf of Naples, between the Sorrento Peninsula, Cape Miseno and the islands of Procida and Ischia. It is of limestone origin, with a lower section in the centre, whereas its two sides are high and mainly surrounded by dramatic sheer rock faces with numerous caves. Its mountainous relief consists, in the west, of the slopes of Mount Solaro, with Mount San Michele, with its cross, and Mount Tuoro to the east. It was believed that Capri had once been connected to the mainland. This opinion has been confirmed more recently, both by the geological similarity that links the island to the Sorrento peninsula and by certain archaeological discoveries. Two urban centres coexist on the island, which differ as much due to their natural geographical separation as to their traditions and ethnic origin: Capri and Anacapri. 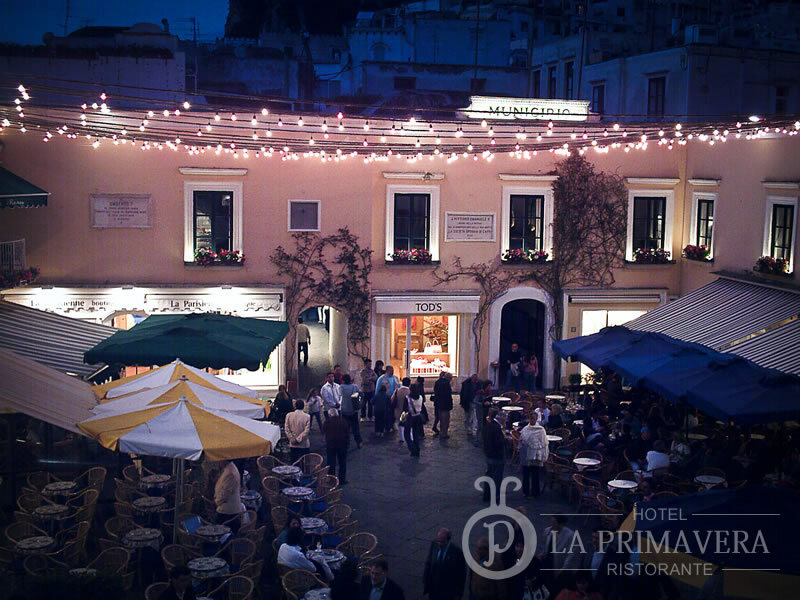 These differences can be explained by Capri’s natural proximity to the sea. The presence of the port, in fact, facilitated commercial and cultural exchanges with the Kingdom of Naples, thereby leading to greater economic prosperity. The two communities were in continuous conflict, each committed to defending its own rights, which were exasperated due to a lack of true autonomy that forced them, over the centuries, to accept the pressing demands of the administrators that were sent from the mainland to control the local economy.